Leaders of the embattled Liberal Movement dismiss the influence peddling and bribery suspicions as interpretations, pleading not guilty and saying that the bribes only benefited the party's former chairman Eligijus Masiulis, ex-MP Sarunas Gustainis and MG Baltic concern vice-president Raimondas Kurlianskis. "We believe that the two gentlemen caused immense damage to the party by manipulating the party or using it as a disguise, as they were not authorized to act in such ways, I mean Eligijus Masiulis and Sarunas Gustainis," Eugenijus Gentvilas, vice-chairman of the Liberal Movement and the elder of the party's political group, told a news conference on Friday. He noted that lawyers had already reviewed the official suspicions, which, in his words, "do not feature any new factual circumstances" and only new interpretations of certain episodes. Gentvilas said the suspicions had been "forced to fit" the case. Gentvilas noted that the suspicions on the party's unlawful operations are based on the 106,000-euro bribe accepted by Masiulis from Kurlianskis and the non-pecuniary support in the shape of participation on the Alfa Savaite show on LNK television channel broadcast on Nov. 4 of 2015. 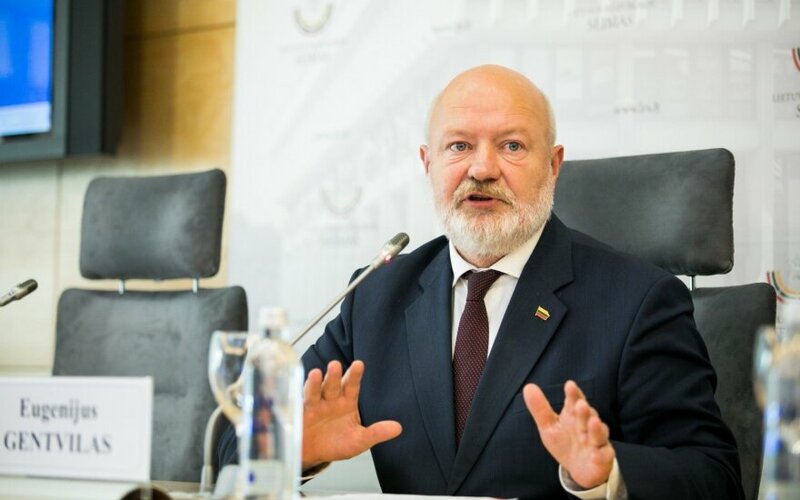 According to the suspicions, the bribe was taken for the influence to the selection of the site for the monument to Jonas Basanavicius in Vilnius, parliamentary discussions of the amendments to the law on consumer loans and resolution on Vilnius-Utena highway. 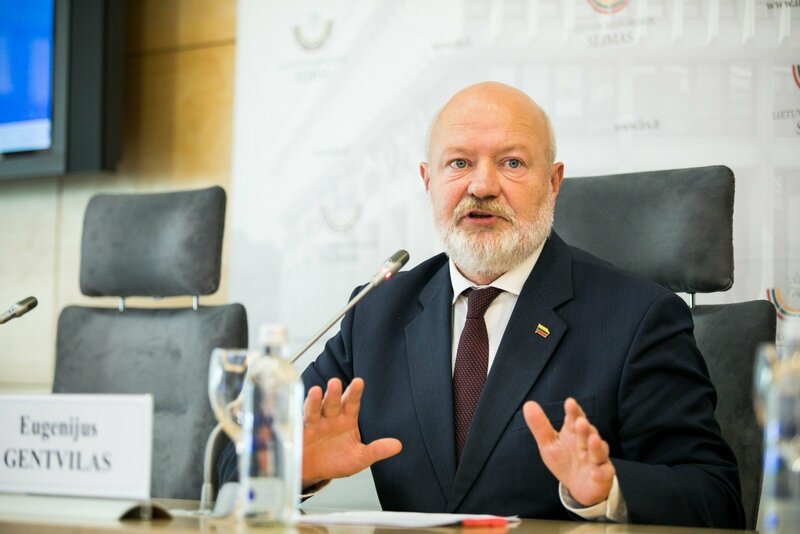 In Gentvilas' words, "the political group did not feel any pressure" in any of the incriminated episodes, and the outcome of the votes show that this was out of the question, furthermore, there was no benefit to MG Baltic. Kurlianskis' bribe to Masiulis was merely "two guys acting in their interest under the party's disguise," said the Liberal Movement's vice-chairman. Another episode listed by the law-enforcement as acting in the party's benefit was the 8,700 euros allegedly received by the Institute of Applied Politics established by Gustainis. The institute spend the money on training for the party's members. Regardless of the fact that the institute had been founded by Gustainis, Gentvilas said the institute had nothing to do with the Liberal Movement.